Among the nuts, almonds are among the tastiest and loaded with healthy fats and proteins. Almonds are rich in antioxidants and are good for the brain. It helps in controlling the blood sugar and is also good for the skin. Apart from all these benefits, did you know that almonds can help in weight loss? The most remarkable claim about almonds as a weight-loss means is that they’re satiating. This implies that they can prevent you from overeating. 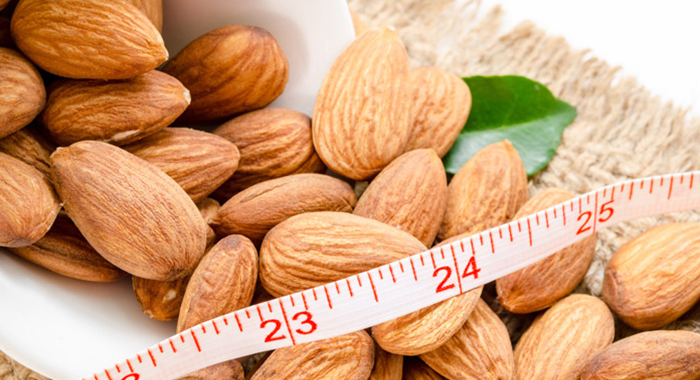 One of the studies observed that among dieters, those people who supplemented their diets with almonds dropped more pounds than those who supplemented their diets with some complex carbs. Moreover, this study also found that the subjects who snacked on almonds all the days didn’t increase their weight, even though they ate hundreds of added calories every day from the almonds. The scientists behind the research assume that it is because the almonds held them from feeling hungry even between meals. There are several possible reasons linked with almonds and weight loss. 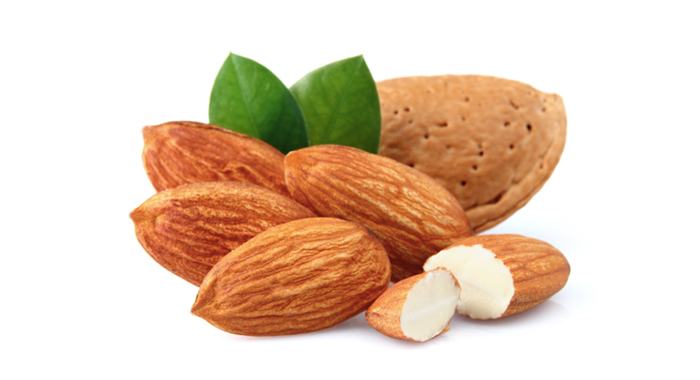 Research has unveiled that the body absorbs not all of the almonds’ calories. Scientists assume that almonds may actually comprise of around 20 to 30 percent lesser calories than nutritional labels register because the rigidity of their cell structure doesn’t allow for absorption. Almonds are rich in protein, and the studies have shown that the nutrient is beneficial for weight loss. One of the studies found that a high-protein diet could boost the metabolism, and yet another study noticed that protein has appetite-suppressing consequences. One cannot be much surprised to find that the almonds can help in weight loss since it is rich in proteins and is a complete filler. It can help you in killing those hunger pangs till your next meal. This can indirectly help in weight loss since you will eventually stop snacking in between the meals. However, you should also remember that calories count. Since almonds are rich in fat, they also contain a lot of calories. 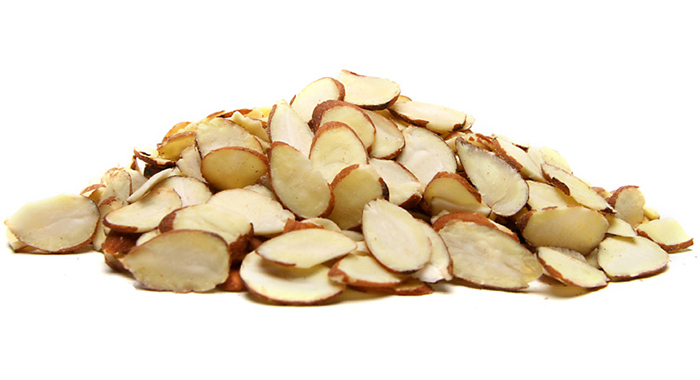 An ounce of almonds, which is just about 23 nuts, has nearly 160 calories, 6 grammes of protein and 14 grammes of fat. Those little almonds unquestionably add up the calorie count. If you’re having handfuls mindlessly throughout the day, you could be eating more calories than you actually need. Don’t outrun the advantages of almonds by consuming too many of them. The best way to utilise almonds as part of a weight-loss plan is to combine them into your meals and snacks in limited quantities. Take a 100-calorie pack of almonds in your bag and when a snack attack hits, have them rather than grabbing something from the vending machine. You’ll be astonished at how full almonds could actually make you feel. Make sure that you replace other foods with almonds. Don’t have them in addition to everything else you’d consume in a day. It is always best to snack on whole almonds. Various brands, like Blue Diamond, make the 100-calorie packs of almonds and you can even get them in fun flavours. You can have around 14 almonds for 100 calories. You can use the sliced almonds on everything from yoghurt parfaits to the salads. 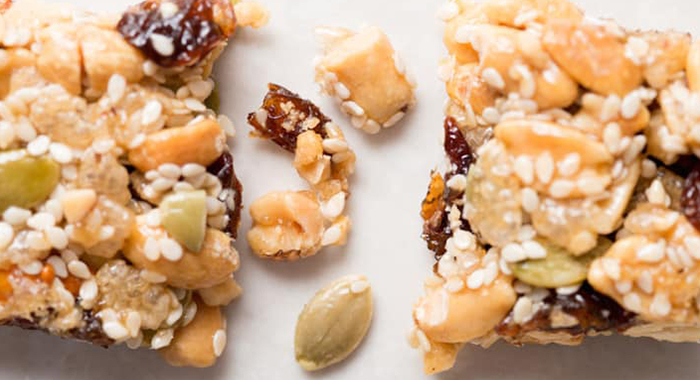 They’re an excellent way to combine flavour and crunch without bringing in a lot of calories. Make sure you watch the serving portions. A single Tablespoon has nearly 35 calories.